This is the eleventh post in a series of eleven which will examine how to motivate the virtual learner. The first post introduces the series. Motivation Category 10: Design for Virtual Learner Success. Nothing succeeds like success! 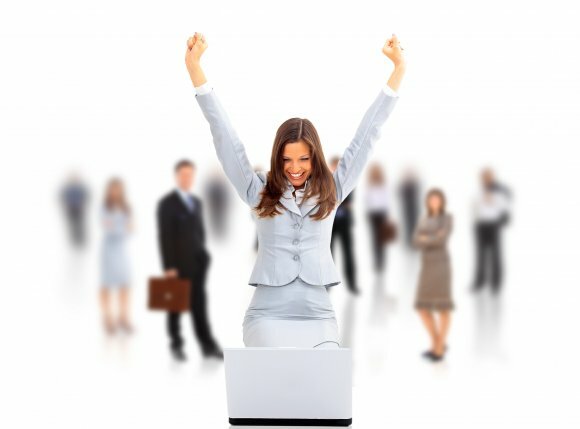 Give participants the opportunity to be successful and they will come back again and again. Do your best to create effective virtual learning environments, strong support systems, and well-designed programs and watch your virtual learners thrive! Tip #91: Engaging materials are integral to keeping the participant motivated. Slides need to be visually appealing and the script needs to be designed to keep the learner engaged audibly. Tip #92: An involved facilitator creates an engaging environment that is participant centered, takes the focus off of the technology and the facilitator, and moves the focus to the content and the participants. Tip #93: Individuals are motivated to learn things that they have a need to apply immediately. Be sure to explicitly state the need in the marketing materials and the introduction to the course so it is readily apparent to the participants how the content will positively impact their work. Tip #95: Use a variety of instructional methods to provide variety. This includes the virtual classroom, engagement tools, discussion boards, tutorials, traditional classroom meetings, and independent assignments to appeal to multiple learning styles and reinforce learning points. Blended learning curriculums like these are learner-centered; they are designed with the learner in mind, with each individual component of the blend involving the participant in a personal way. Tip #96: Include a variety of hands-on activities and peer feedback. These help to immediately inform participants of their levels of success. Tip #97: Peer pressure and peer support are integral to a successful virtual learning experience, so design exercises that encourage these types of interactions. When participants know they will be called on to collaborate with one another, they will be more engaged throughout the entire program. Tip #98: Remember that there are a variety of online tools available to you in building on the content delivered via slides, reading, or tutorials. Using a variety of virtual learning tools and methods, including small group activities, self-paced exercises, and synchronous events, will stimulate participants' thoughts and creativity during class. Tip #99: During live virtual classes, use a producer to support participants with technical questions and to provide continuous encouragement to your participants. This leaves the facilitator free to focus on content and activity management. Tip #100: Many times a participant will be the only person at a location who is taking a particular course. When this happens, a person can quicklly feel isolated and believe that no one will notice or care if they have missed a class. To alleviate this problem, facilitators need to invest more time providing support and encouragement to participants than they would in a traditional class. Whew! 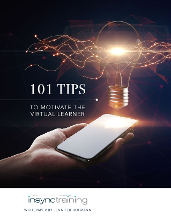 There they are - 101 Tips to Motivate the Virtual Learner. Wait, that's only 100, what's Tip 101? You probably know what's coming! Tip #101: If you need assistance designing or implementing your virtual learning initiatives in your organization, InSync Training can help. We are your source for blended learning and virtual training design and delivery and we offer a variety of courses and services to help develop or enhance the skills you need to facilitate, design or produce live online training. Our course catalog might give you some ideas as to where you want to go next in your professional development. 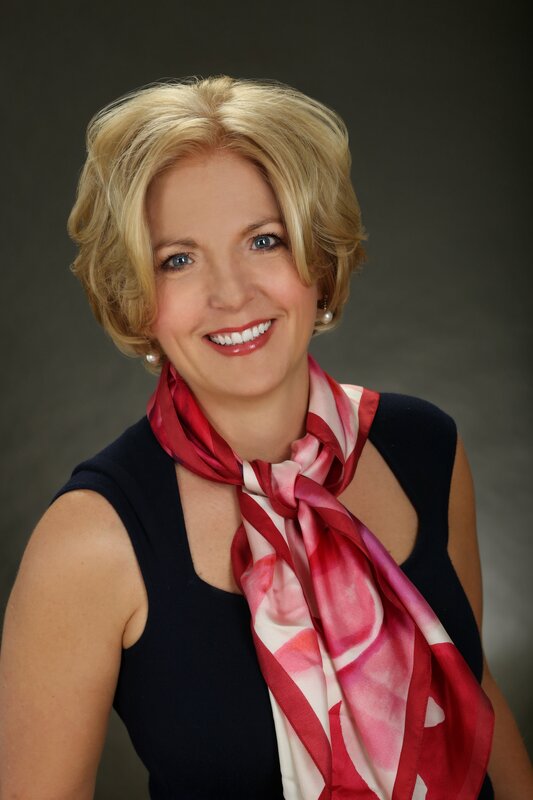 Thanks for following me on this motivational journey! To get all 101 Tips To Motivate the Virtual Learner in one place, click on the graphic below.